A campaign to overturn the murder conviction of a woman who bludgeoned her husband to death has been launched. 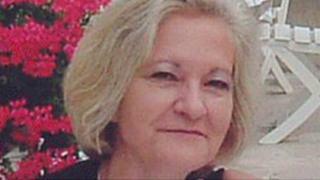 Sally Challen, 57, from Claygate, in Surrey, admitted killing Richard Challen, 61, in 2010 but denied murder. She was jailed for life in June 2011, and ordered to serve a minimum of 22 years, but later had the jail term reduced by four years on appeal. Justice for Women wants new evidence about her husband's "controlling behaviour" to be taken into account. Challen's lawyer, and co-founder of the group, Harriet Wistrich, said her conviction could be reduced to manslaughter because since her trial a new law on coercive control had been introduced. Ms Wistrich said Challen was "very much the submissive person in the relationship". "It was an extremely psychologically-controlling relationship in which she was not allowed to question him." She said the new law would have recognised that Challen had "killed out of a sense of total desperation rather than out of jealousy". Challen had denied murder, claiming diminished responsibility. During her trial, jurors were told she attacked the retired businessman with a hammer as he ate lunch at the kitchen table in their former marital home. She had believed he was cheating on her with other women.